Trust The Home Insulators with your home insulation needs! We are proud to serve the village of Tuckahoe, long known as ‘the best kept secret in Westchester,” and have been helping homeowners here reduce their heating and cooling bills for many years. Tuckahoe is charming town founded in the 1800’s as a marble quarry town, and has since grown to a modern city with an award-winning Main Street. Many of the homes in this lovely village were built in the 1920’s and 30’s and could benefit from a free energy audit. Call The Home Insulators today to schedule a free consultation in your home with one of our friendly insulation professionals. We are available 7 days a week including evenings, so contact us today for an appointment! Did you know that up to 50% of your monthly energy bill is due to your heating or air conditioning systems? In order to reduce your monthly utility bill significantly, we recommend upgrading your home insulation. This is a very cost-effective and easy way to increase your home’s energy efficiency and regulate your home’s temperature. Almost all home built in the first half of the 1900’s have less than an inch or two of insulation in the walls, making them chilly and drafty in the winter and uncomfortably warm in the summer. 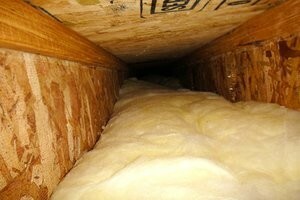 Inadequate insulation leads to unnecessary heat transfer and higher utility bills. 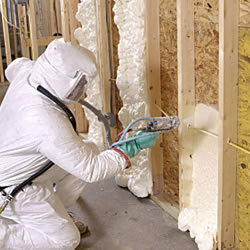 The effectiveness of insulation is measured in R-values, which indicates the material’s resistance to heat flow. Insulation with a higher R-value provides better protection against heat loss or transfer than products with a low R-value. Homes that are located in the Northeast typically benefit from higher R-value products because of the long cold winters, humidity, and seasonal climate. 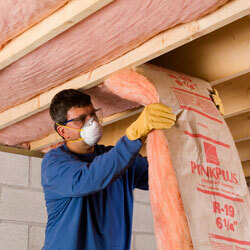 Make your home and family more comfortable and save money by having us install new insulation. During the winter, heat moves from your heated rooms to the colder spaces in your unheated attic or basement, eventually seeping outdoors. The reverse occurs in the summer, with hot air moving inside towards your cool, air-conditioned rooms. The primary purpose of insulation is to create a barrier that reduces the movement of heat in and out of your home, thus conserving energy. *Batts are large rolls of insulation, also known as blanket insulation, that are made of fiberglass, polyester, rock wool, recycled paper or cotton. The rolls are flexible and roll out flat for installation. They are available in a wide range of sizes that can fit between the studs and joists in your attic or house. 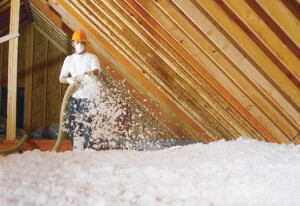 Batt insulation is a very cost-effective type of insulation, but we recommend professional installation. Improperly installed batts can leave gaps that reduce its insulation capabilities. *Loose-fill Insulation consists of small chunks of fiberglass, cellulose or rock wool insulation that are blown into the attic and walls using a large machine and blower. This type of insulation is a good choice if you have small or hard to reach spaces, unfinished attics, and existing walls. 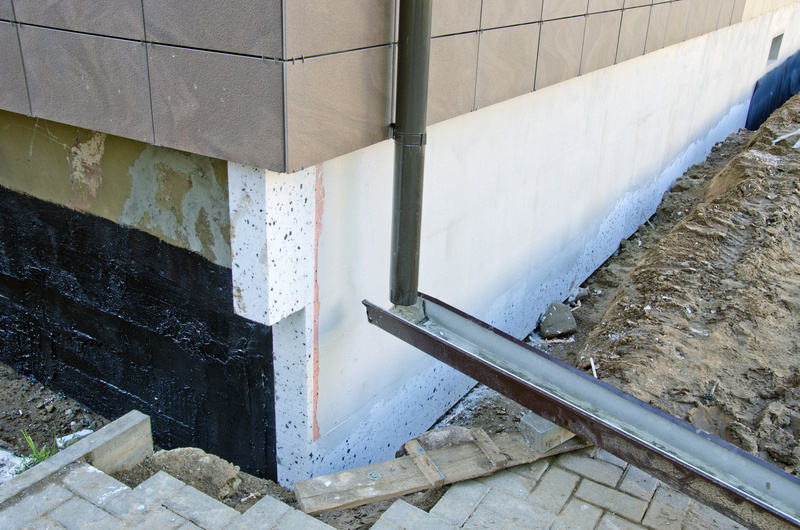 Because the material is small, it provides more complete coverage and an even layer of insulation with no gaps. *Rigid foam board is made of fiberglass or polystyrene and comes in a variety of widths and sizes. It can be cut to fit into any space, and is then sealed with tape or other materials. This helps provide a tight seal because it can’t shift or be blown away by drafts in your home. Because it is cut to fit, it can also be molded around pipes or air ducts in your home. 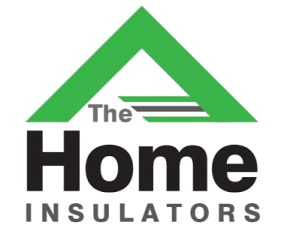 If you are thinking of a new home addition or remodel, contact The Home Insulators to discuss how we can assist you with rigid board insulation products. 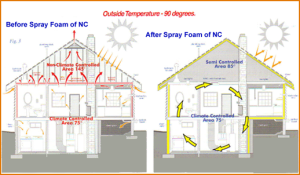 *Spray foam insulation is a superior product that provides an airtight seal. 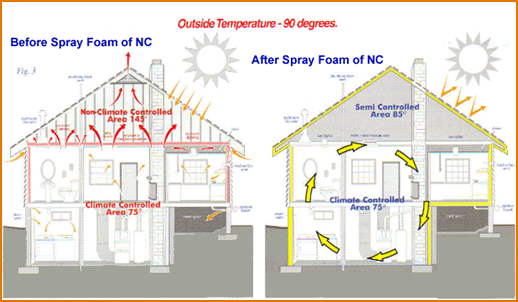 Spray foam is composed of two materials, isocyanate and polyol resin, which are combined and blown through a special spray gun. 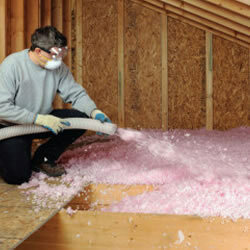 This creates a bio-safe foam that expands rapidly upon application, and can be used in roofs, attics & wall cavities. As the spray foam hardens, it creates an excellent seal that greatly limits conductive heat transfer in both older and newer homes. Choose The Home Insulators – Tuckahoe’s #1 Provider of Home Insulation. Contact us today to discuss your home insulation needs. Schedule an appointment with one of our professional home energy auditors to learn how The Home Insulators can help reduce your energy bills permanently. There is never a charge for our estimates or any obligation. Our staff is fully trained, bonded and insured, and have over 30 years of combined experience installing all types of home insulation products. Our work is also fully guaranteed, and we would be happy to provide you with references from our previous clients in Westchester County.